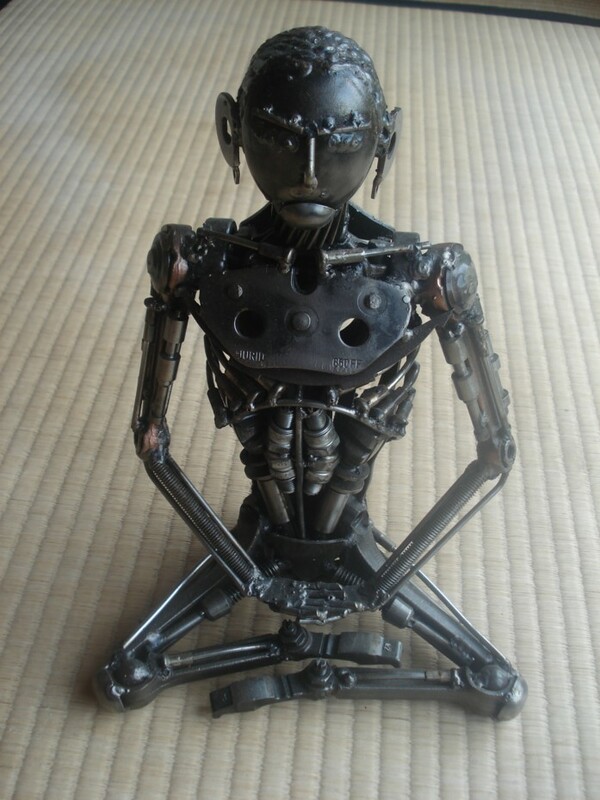 Five months ago I commented about some illustrations of the zazen posture. The question I focused on was if the feet should be resting high up on the thighs, as is advocated in the instruction texts that speak of the toes being in line with the outside of the thighs. Or isn't it so important after all? My opinion is that we should at least aim at having the feet as high up on the thigh as possible, ideally with the toes reaching up to the outside of the thighs. It isn't necessary though to have the toes protruding over the outside of the thighs, as can be seen in the picture below. When I cleaned my desk the other day I found two more Soto-shu flyers that advertise the zazen posture. Below you find scans of the pictures, if you click on them they will enlarge. They are all printed on high-quality paper and distributed for free, financed by the expensive annual taxes that all Japanese Soto-shu temples (including Antaiji) have to pay to the headquarters of the sect. 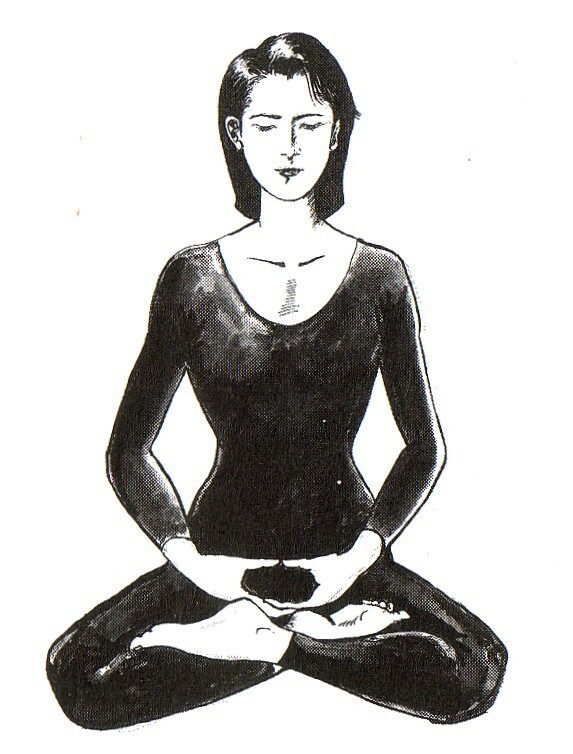 The illustration on the left is supposed to represent the full lotus posture. The same is true for the higher picture (1) on the right. The lower picture (2) on the right is supposed to be the half lotus posture. Obviously, the way the legs are crossed in these three pictures doesn't even come close to what is usually called full or half lotus posture: In all of the pictures, neither the left nor the right foot are resting on the thigh of the opposite leg. They are sitting on the lower part of the leg (in clear contradiction to what the text that accompanies the pictures instructs you to do). This may seem like a more comfortable way to sit at first, but if you sit for a longer stretch at a time, you will realize that the lower leg that gets all the pressure from the foot will hurt like hell. In the picture on the left for example, not only will her right lower leg hurt after a short while, also the right foot, that is caught between the left thigh and the lower oart of the left leg, will not stand this unnatural posture for long. The question is: Why spend all that money for printing these flyers and advertise the zazen posture, if you can not find a single model that can actually sit in that same posture? Here are more funny pictures from the other flyer, just for your amusement: How to sit with a neck tie? I am turning 40 next year and have never worn a neck tie my whole life, so I am in no position to judge if wearing a neck tie has an influence on the quality of your zazen. Still, I wouldn't want to sit with my neck being strangled by that thing. Why not take it off? Dogen Zenji explicitly tells us to wear loose clothing, like the monks' robes are. Training wear is fine too, or samue, or hakama etc. Why strangle yourself with neck-tie and belt? When Soto-shu officials from Tokyo visit foreign Zen centers, they are often surprised to find the Westerners all dressed up in koromo and kesa and everything. The Westerners on the other hand are amused to see their Japanese visitors lecture them dressed in Western suits and neck ties. Personally I have nothing at all against Western clothes. Especially during the working hours here at Antaiji, we usually wear Western clothes (like Jeans etc. ), because they are cheaper than the traditional Zen wear. But when it comes to sitting, wearing the monks' robes makes it much easier to cross your legs, stabilizes the hands and it all together gives you a feeling of containedness that helps the sitting. Anyway, the model in this picture at least seems to try to get his legs higher up on the thighs than the lady above, but he isn't so successfull either. When he swings to the left and right, his knee is already floating in the air: A clear sign that the posture isn't stable. The question again: Don't they have a single person there in the Soto headquarters that can sit in full or half lotus posture? It is kind of embarrassing. On the other hand, it would be stupid to expect a living being made of human flesh to sit in an absolutely perfect posture. Each one of us has to sit with his own twists and bends. Still, when you look for a model to pose for an illustration, the posture in the picture and the text should not contradict themselves. Let's look for better examples then. 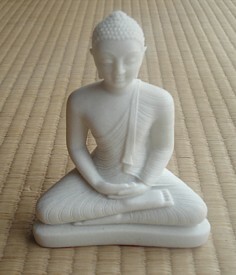 How about buddha statues? Isn't the posture in which Shakyamuni sat under the Bodhi tree supposed to be the model for our zazen practice? Surprisingly, most sculptures or pictures that depict Shakyamuni striving for liberation can't be called an example of a good posture either. Is it because of the exhaustion from his six years of ascetic practice that he is depicted leaning to the left or right? Also, the legs are far from forming an equilateral triangle, rather the knees are close to being in a straight line with the pelvis bone. An interesting point is the fact that Shakyamuni is crossing his legs "left foot first, than right foot on top" (you can see that if you have a close look at either the picture on the right or in the middle - click to enlarge). This will relate to our next question: Should the left leg always be on top of the right or is it OK to change the order? What will be important to keep in mind is that these statues depict Shakyamuni before his enlightenment. Another famous example of a bad sitting posture is the Big Buddha in Kamakura. The back is bend, the head drops forward. In Zazen, we aim at bending the pelvis bone forward and straighten the spine and neck. 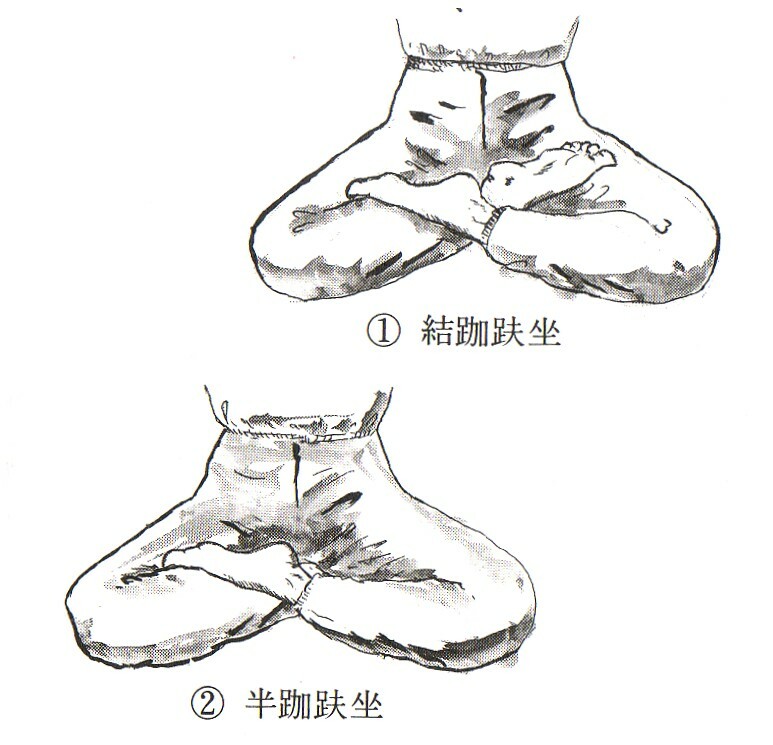 The posture on the left is described in Japanese as "koshi ga nukete iru", which could be translated as "he has lost his hips". If you tried to sit in this posture, you would find it hard to stay awake for long. The reason why the Kamakura Buddha is depicted in this way is said to be the fact that he isn't striving for Nirvana any more, but rather directing his love and compassion towards the suffering beings that gather at his feet. To show us his attention, he is bending downwards. Above are three more buddhas with legs crossed in a way I wouldn't recommend to any serious practioner. Interesting as pieces of art maybe, but no good models for actual sitting. Try to get the feet higher on the thighs, and the knees closer to each other. The same is true for these two buddha statues at Antaiji. The one on the left was made from trashed pieces of metal by a Thai artist. The legs aren't really crossed at all, and the whole figure lacks balance. The one on the right is a cheap souvenir. 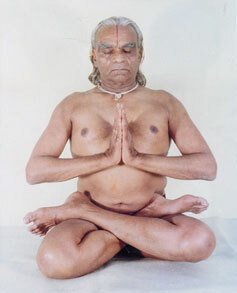 A kind of stable looking half lotus, but the right foot isn't resting on the left thigh, but close to the knee. 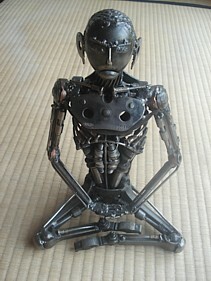 If an actual living being sat like this, the blissful smile would soon disappear from the face: it hurts!